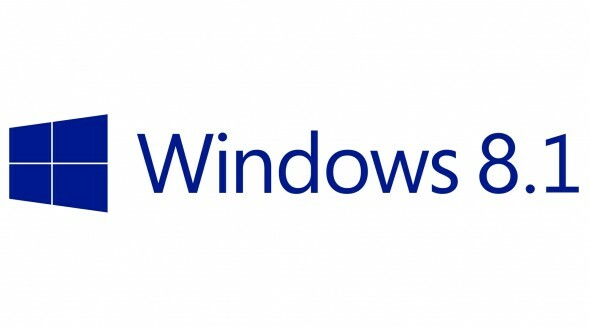 There have been many reactions to Microsoft Windows 8 and most of them were unsatisfactory in several ways. With an obviously demoralized desktop market and struggling tablet sales, Microsoft has been tasked to come up with a solution to stay faithful to its numerous customers. 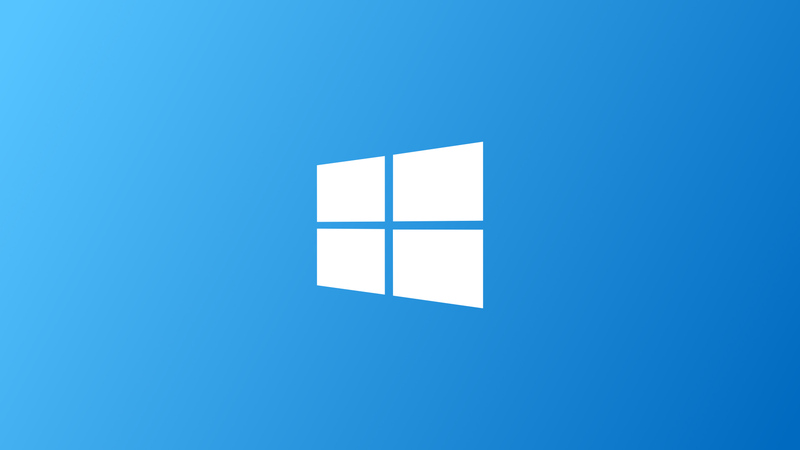 Windows 8.1, Microsoft’s soon to be released update to the already existing Windows 8, aims to be a clear improvement over Windows 8 in virtually all aspects. It also promises to be more robust than it’s predecessor. It is not another operating system. But as you would soon see, Microsoft has come with a rather interesting solution to the mobile app hating Windows users. Change seemed to be the central focus of Microsoft Windows 8 and as much as change is needed and inevitable in life, in technology, there is also the secondary debate of knowing what to change… and at which time. So when the native Windows Start button was gone, it was a startling surprise to many about the interface blunder and the question was whether it would be missed or not. Well, judging from the fact that the start button has been installed in Windows 8.1, should we guess it probably was? In my opinion, it was a good thing that Microsoft reconsidered the start button. But better still, it came with a number of welcome additions which is centered around a more native “desktop-ish” experience of Windows 8. I am one of the many users who just found it rather annoying that Windows booted every time to the Metro interface while I just used the desktop mode. Anyways, you now have the option of booting to the desktop rather than the Windows 8 metro interface with the live tiles. Also, the start menu can send you to the Apps screen, which shows ALL of your installed desktop and Windows 8 apps, rather than that UI based start screen. Thumbs up for that! Well… what can I say? The search function in Windows has gotten broader. You can now search globally, or limit searches to files, system settings or media from the web. A global search combines your local search results with Bing results. Whether that is exciting or not only depends on you. Remember how frustrating it was when you had a larger number of apps downloaded from Windows Store, and it ended up with you scrolling all over the place to find the app you were looking for on the metro interface? Windows 8.1 now offers a possible solution to organize your tiles by arranging them in groups. You can assign group names and re-size live tiles. I guess that makes life less stressful right? The snap-in function of Windows 8 featured the ability to run two Windows Store apps simultaneously on the same screen by “snapping” one of them to the side to initiate a rather interesting split screen experience. You were allowed to only “snap-in” two apps, but Windows 8.1 allows 4 snap-ins. Keep it in mind though that snapping in 4 apps on the foreground drains battery life rather densely. Sometimes, you cannot pull out the difference between a ten and eleven year old child (except for the age number) and with Internet Explorer, do not expect anything different. Although Internet Explorer 11 claims to have better stability ad faster browsing, it is most likely that it would still be the last browser you would ever open when you have sampled the likes of Firefox, Chrome and the others… or for some reason, you do not know any other browser but Internet Explorer. As if the slow paced, “developing” status of the Windows Store wasn’t an issue, it did not offer a good solution to prioritizing apps that mattered. It only featured an endless scroll of apps in small icons and some not very useful ratings and descriptions. Windows 8.1 has a redesigned Windows Store… but well… that’s pretty much just it apart from the little need for you to manually update apps to be sure you’re on the latest version. The PC Settings facility in Windows 8.1 offers your system controls in a savvy, modern graphical interface. This matters to those who probably found the regular native Windows desktop Control Panel rather tiresome. Windows 8.1 is pretty much nothing more than an update… not an upgrade. Microsoft hopes that Windows 8 won’t be around for long after Windows 8.1 comes out and that everyone using Windows 8 will upgrade, just as it hopes we’re all using automatic updates to keep our PCs up to date… lol! Microsoft’s new Surface Pro remains on the surface! Some dreams come true! With the release of the Microsoft Surface RT, I can bet a a good number of people wished for that tablet to run the revolutionary Windows 8. “Definitely charming!” wouldn’t it? Well, the Surface Pro from Microsoft has come and even with its chin itching price tags – $899 for the 64GB and $999 for the 128GB version, the Microsoft Surface truly makes a demanding statement – that from the looks of it, may be worth it. Preceding the new Surface Pro was a Surface RT which as at now seems to be more or less a preview to the good things to come. True, the design was something new and some of the hardware features were worth a good chat over a cup of tea; but so many things seemed absent and yes! The Surface Pro delivers all of those inner cravings you desired for it. Microsoft Windows fans and Windows 8 enthusiasts will certainly not mind putting down all more than a couple of bucks for it. The Surface Pro gives the complete Windows 8 experience which still is the most popular and most dynamic entry in the world of operating systems as of date. The Surface RT would pretty much be for those who would just prefer a windows like tablet experience without paying too much for things they would not probably use. Its not a bad idea if you look at it; after all, it comes along with the very excellent Office 2013. The new Surface Pro competes on par with its ultrabook rivals in a unique and most challenging manner. Compared to the earlier Surface RT, it is larger and to house some of its powerful hardware components, packs in a little more weight with a thicker form of its “VaporMg” magnesium composite casing. It comes with the basic expectations of a regular ultrabook: front and back 1.2 megapixel cameras, a full size USB port, an intel Core i5 CPU, Intel HD Graphics, 4GB of RAM, solid state storage up to 128GB, expandable memory through a memory card reader, Bluetooth 4.0 technology and Wi-Fi 802.11a, b, g and n. It also comes with exciting features as a tablet such as a scratch resistant glass surface, 720p HD video recording with video calling abilities, accelerometer, gyroscope and compass sensors. Surface is indeed a delight to behold and touch. 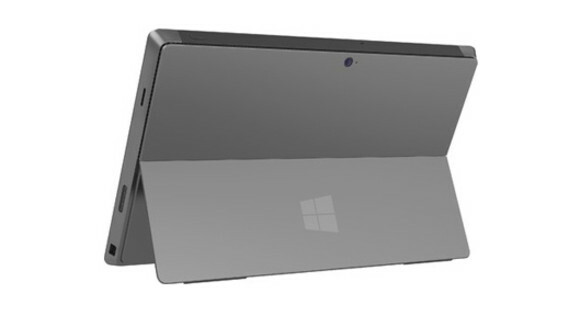 One issue people may have with the Surface Pro though is its kickstand, which only gives a single angular view. This does not tend to be a problem until you get into a place with heavy fluorescent lighting or worse, the sunny outdoors. You might spend some extra time adjusting to suit your convenient viewing. Furthermore, an honest truth is that it doesn’t do as well as the earlier Surface RT in terms of battery life but you should be able to get about 4 hours out of it or so. Nevertheless, Surface will do pretty well to impress newcomers and even existing customers in the tablet purchase market. 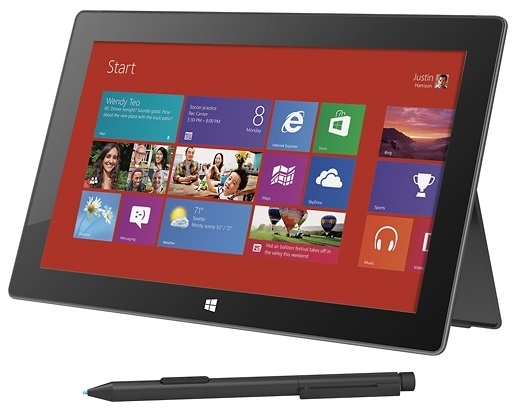 Surface Pro comes along with a Wacom-made, pressure-sensitive stylus that is is a very welcome accompaniment. Surely you would enjoy touching around Windows 8 with it. It has a nice feel; especially when you are using applications such as Adobe Photoshop and the like. The touch and type covers remain as optional accessories and require a separate purchase to an already quite expensive pricing but of course, that completely depends on the customer in question. In conclusion, the Microsoft Surface Pro is a stylish welcome addition to the world of portable and personal computing. There are a number of things to consider though but it works. 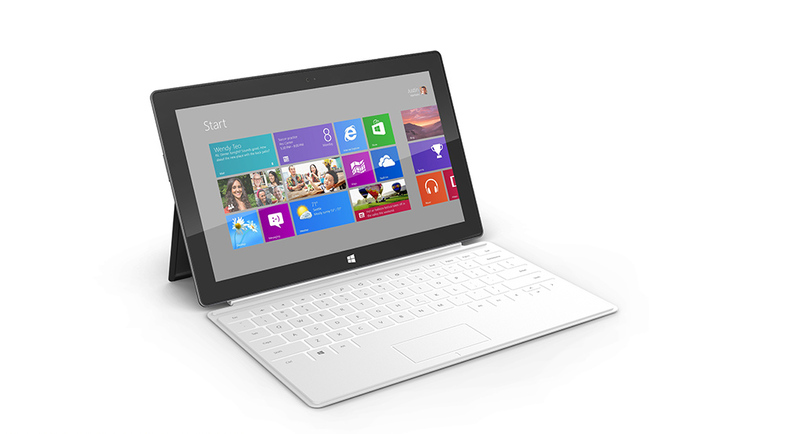 It is fast, beautiful, the screen is gorgeous and… it runs Windows 8.